FAT ALBERT AND THE COSBY KIDS 1970’s Multi-Cel Setup of Fat Albert Driving a Fork-Lift. Presented on a Watercolor Production Background. FAT ALBERT SERIES (THE BROWN HORNET) 1972 Multi-Cel Production Setup of the Brown Hornet ‘s Sidekicks Being Carried Off by a Green-Winged Creature. FAT ALBERT SERIES (THE BROWN HORNET) 1972 Multi-Cel Setup of the Brown Hornet and his Sidekick Confronting the Alien. FAT ALBERT SERIES (THE BROWN HORNET) 1972 Multi-Cel Production Setup of the Brown Hornet Confronting the Alien. FAT ALBERT SERIES (THE BROWN HORNET) 1972 Multi-Cel Setup of the Brown Hornet Confronting the Alien. 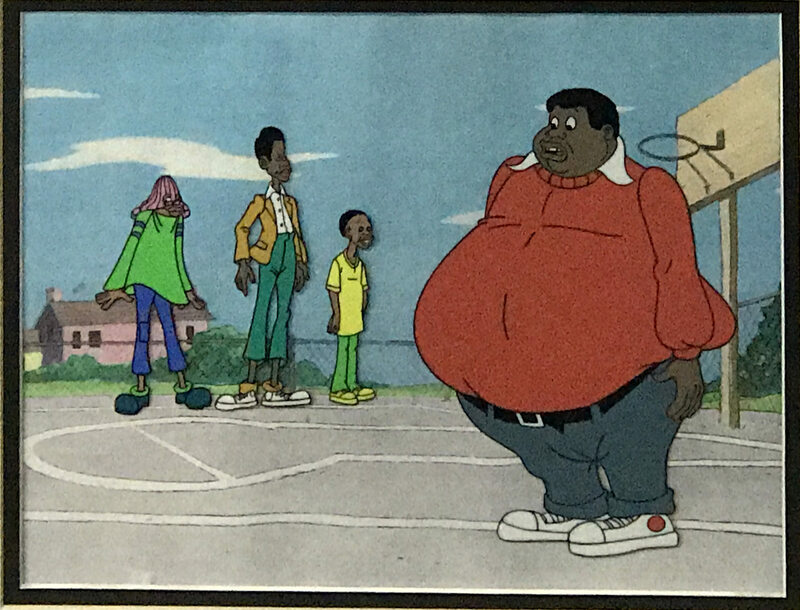 FAT ALBERT AND THE COSBY KIDS 1970’s Multi-Cel Setup of Fat Albert and Rudy the Rich Kid Presented on a Watercolor Production Background. 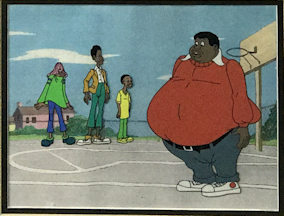 FAT ALBERT AND THE COSBY KIDS 1970’s Multi-Cel Setup of Fat Albert Carrying Some Boxes. Presented on a Watercolor Production Background. FAT ALBERT SERIES (THE BROWN HORNET) 1972 Multi-Cel Setup of the Brown Hornet Letting the Hot Air Out of the Balloon. FAT ALBERT AND THE COSBY KIDS 1970’s Multi-Cel Setup of Fat Albert and Mushmouth Presented on a Watercolor Production Background. FAT ALBERT AND THE COSBY KIDS 1970’s Multi-Cel Setup of Fat Albert and Dumb Donald Presented on a Watercolor Production Background. FAT ALBERT & THE COSBY KIDS Fat Albert and the Cosby Kids Sericel. FAT ALBERT AND THE COSBY KIDS 1970’s Multi-Cel Setup of Fat Albert and a Hose Presented on a Watercolor Production Background.